Practice Yoga with Australian animals from bush and the sea. 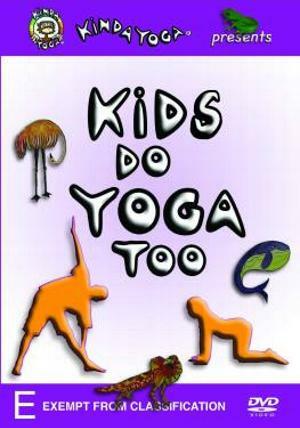 Introduce your kids to the joyful art of Yoga with this colorful and enjoyable DVD, filmed in the rainforest and on the beach of Australia. Meet Emu, the Dingo, the Frilled Neck Lizard, the Reef Fish, The Sea Snake, and many more Australian animals. With use of poetry, playful illustrations and the help of children, Yoga teacher Rachel Zinman demonstrates how easy and fun Yoga can be for children of all ages.